Everyone at DeCoverly specializes in a few keys areas of the business, but at one time or another can be found doing almost anything. Despite a diverse array of talents and interest, we’re all bound together by our love for the breed and our desire to produce the finest companions available today. Bridget Bodine, General Manager & Head Trainer – Bridget has had a lifelong career with animals. She started working with Hunter / Jumper horses working for notables such as Tiffany Teeter (Traurig) and Harry Duce, in Bucks County, PA. Her 25 year career in dogs started when she started worked with top professional show dog handlers Greg and Kim Strong. Bridget started as a show assistant and quickly moved to obedience training and then to kennel manager. After numerous years with Greg and Kim, Bridget chose to apprentice with Mary Williams at High Tide Kennels to learn more about retriever and gundog training. 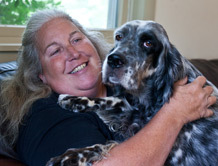 From 2001 to 2008 Bridget worked with DeCoverly as Kennel Manager and Trainer. During this time she also apprenticed in the DeCoverly breeding program. She left DeCoverly for 2 years to pursue working with retrievers on the Eastern Shore at Delmar Waterfowl. We are now thrilled to have her back at DeCoverly as General Manager and Head Trainer. In Bridget’s spare time, she breeds Labradors and participates in AKC conformation dog shows and AKC Retriever Hunt Tests. She has titled 8 dogs through the Senior level and will have several dogs, of her own and of clients, running in Master in 2011. Nick Puhak, Trainer – A dog lover his whole life and an avid hunter from an early age, Nick naturally gravitated to professionally training hunting dogs. Over three decades, he worked with various senior trainers and dog breeds throughout the United States and Canada, honing his talents and expertise in the field. Nick’s dogs, and numerous others he has trained, have achieved excellence both in the field and in field trials. His attention has been concentrated in training pointing breeds, with a focus on English Pointers. His in-depth knowledge, intense dedication, and personal demeanor are regularly cited by his clients as a reason for their long-term relationships with Nick. He enjoys learning about each dog’s talents and needs, and then leveraging his experience and skills in order to advance their potential abilities. In addition to training, Nick has more than twenty years of experience in breeding hunting dogs, some of which have gone on to win in field-trial circuits. Beyond his passion for training and breeding, Nick is a trained chef, regularly entertaining friends and clients. Danielle Zdaniewicz – Danielle is a graduate from Tunkhannock Area High School. She has had a love for dogs since she was a little girl and dreamed of working with them. That dream has come true since she began working for DeCoverly since October of 2010. Danielle enjoys painting, the outdoors, and spending time on walks in the woods with her two dogs, a Blue-tick Beagle named Harli May, and Miss Molli, a Siberian husky mix who have inspired her to become a professional dog trainer. 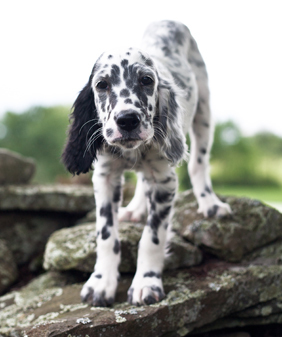 William B. Sordoni – Bill bought his first DeCoverly English Setter in 1982, and 10 years later became the Kennels’s business partner. Bill now owns DeCoverly and brings 40 years of business experience to the kennel. William E. Sordoni – Bill grew up with DeCoverly setters from the age of seven. Bill became actively involved in the Kennel in 2005 and helps manage many of the business’ operations. Read about Bill’s DeCoverly setter, Clipper, in the “Clipper’s Corner” section of the DeCoverly On-Point Newsletter. Matthew Sordoni – Matt has periodically worked with the kennel since 1993 in different capacities and continues to be involved today. Matt and his DeCoverly setter, Rye Toast, finished their first upland season together in 2010. 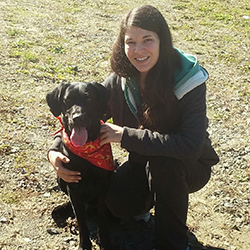 Jamie Gagnon, Kennel Tech – Jamie Gagnon is 22 years old and has had a love for all animals all of her life. She began working with horses, volunteering at a local horse rescue between the ages of 13 – 16. Although she loved working with these gigantic beauties, her heart always had a special spot that yearned to be around dogs. That special spot was fulfilled when she began her job at DeCoverly in November of 2014. She enjoys learning as much as she can in the many areas of the kennel business. In her spare time, she likes to draw, read, cook/entertain for her family and friends, and take long walks, along with lots of pictures, with her boyfriend and their 3 year old black lab, Shadow Biscuit.